I’ve been a fan of Mark Bittman’s for years now. 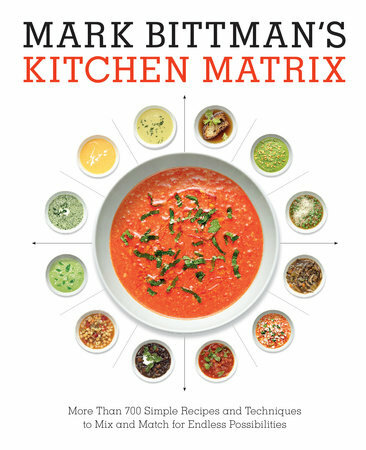 His new cookbook Kitchen Matrix is a fantastic cookbook and my favorite of his collection to date. There are over 700 recipes and most have beautifully styled photos. The basic concept is that if you know a few techniques and can cook a handful of day to day dishes you can improvise and make many variations that morph from one meal to another. An example of this would be spinach where he has listed four different techniques but twelve different flavor profiles. By following this method of cooking you can create a lifetime of recipes. There is even a chapter on Desserts and Baking in which he has a basic cookie dough with twelve different options. This recipe I’m about to share is inspired by one of Mark’s chicken recipes, which was easy to prepare and turned out pretty amazing. I'll have to check the cookbook out as I like MB too! Thanks Pam, hope you have a chance the photography alone is wonderful. It's always interesting when a good writer like Bittman writes down something that a lot of people have been doing anyway, unrecognized! Hi Mae, wonderful quote, thanks for stopping by. Day to day recipes are what I need. Sounds great - thanks for the recommendation :) Have a happy Halloween! Thanks Tricia, Happy Halloween to you too! 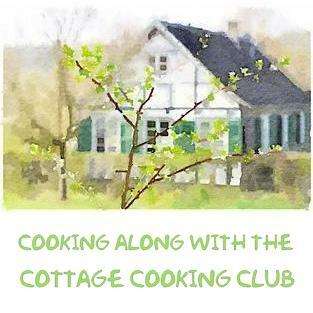 This sounds like a great cookbook–and I love cookbooks like this that have great photography! Hi Nancy, you certainly will not be dissapointed. Hi Kim, you know that is how my mother-in-law bakes her little Italian cookies and she is pretty amazing. I am so out of the loop! I had no idea that Mark Bittman had a new cookbook---and I'm sure it's a winner! Hi Liz, I just happened upon it, he is one of my favorite's. I am a Bittman fan, too. Have you tried his IPhone and Ipad apps? Hi Dena, no I have not, will check it out, thanks!! I'm such a fan so I'll definitely check this out. Your chicken dish looks delicious, Cheri. Can't wait to get the recipe! Thanks Robyn, Happy Halloween to you too! Gotta add this to my X'mas shopping list! The chicken looks very tasty, Cheri. It sounds like a great cookbook. The chicken looks yummy. Thanks Dawn, it really is. Hi Tandy, it is a great one. Thanks Charlie, I am enjoying cooking from it. Oh I'm sorry Helen, chicken with wine sauce and mushrooms. I have a huge crush on Mark Bittman, so I'll have to check this book out. Sounds delicious! I hope you have a chance to Betsy, it's beautiful. Thanks Kelly, hope you have a chance to check it out. 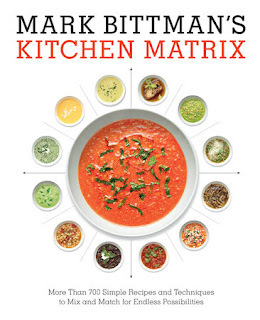 I am also a big fan of Mark Bittman, and love the concept for this book. I really like when he did articles like this in the NY Times. Thanks for the review, Cheri! The NY times was the way I first came upon his recipes. Thanks for stopping by David. I will have to check that out! I am always on the lookout for new cookbooks. Hope you have a chance too, it's really good Dannii. I like Mark Bittman too....will look into this book, Cheri. Dear Cheri, even I know Mark Bittman and I know a lot of peolple who are great fans of his cookbooks - this one sounds like a true winner of a cookbook with a great concept behind it! Thanks Andrea, it does seem like he has a big following. Hi Phi, that's basically the concept of the book. 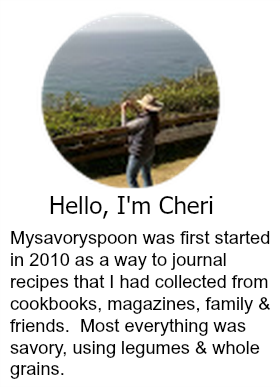 I am glad to find out about this cookbook, Cheri. The concept sounds interesting. And the chicken looks really yummy! Thanks for sharing about it. The only recipe of Mark Bittmans' I've tried is his chestnut soup. I really should take a closer look because I need to learn techniques and I'm all about simple and easy but tasty meals I can make quickly. The chicken dish sounds like a great dinner. Thanks Monica, it was delicious and quick and easy. WOW! It looks gorgeous! Love this book! Hi Marcela, went to your new site and signed up, love the new look. I got this book too! (Blogging for Books is GREAT). I have the new Giada de Laurentiis one, and have Michael Symon's on the way. Any others that you'd recommend? Hi Kylee, I just received Lucky Peach and it is amazing. I recently heard about this book on a tv show but didn't pay much attention. Now you've got me intrigued. I have 1000s of cookbooks so it's not like I need another. That said this sounds unique and one that actually offers useful tips. What's another cookbook in the scheme of things. Hi Vicki, wow, you sound like a collector, this does offer great tips and there is over 700 recipes.